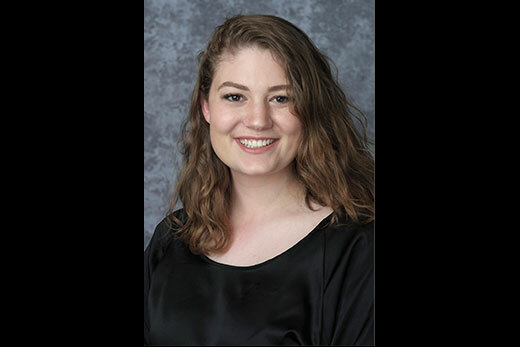 Becca Bowles of Athens, Texas, plans to pursue a master’s degree and doctorate in astrophysics, possibly working with a space corporation or university on the life of stars. Matthew Ribel of Chantilly, Virginia, is preparing for a career as a pediatric neurosurgeon, inspired by his work in a therapeutic riding program for developmentally disabled children. Amanda Obando Polio of Santa Tecla Libertad, El Salvador, chose Emory due to her interest in international politics and addressing social inequalities. 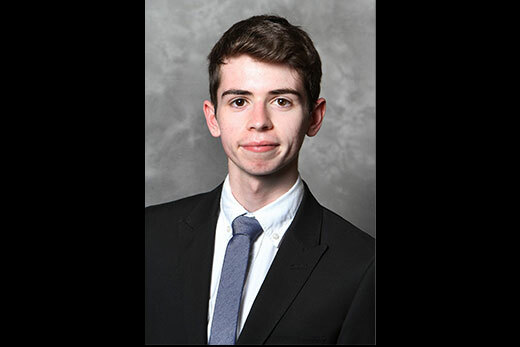 Kieren Helmn of Preston, Great Britain, plans to study business administration and classical civilizations. Willi Freire of Boca Raton, Florida, is interested in studying law and interning at The Carter Center. On Nov. 9, 1979, the front page of the New York Times trumpeted news of a $100 million gift to Emory from Robert W. Woodruff. If it seems odd that a philanthropic gesture, however grand, would make the cover of the nation’s newspaper of record, consider it evidence of a growing awareness that Emory was beginning a deliberate transformation, shaped by the pursuit of academic prestige and a rise to national prominence. Part of Woodruff’s record gift targeted students who were Ivy League-bound and whom Emory wanted to recruit in its “fight for greater recognition,” as the Times described it. The Woodruff Scholarship, a full ride earmarked for top students who met distinct criteria, was a centerpiece of this endeavor. Instead of heading to Harvard and other schools in the Northeast, those high achievers came in batches of a dozen or so a year to Emory College. While the Woodruff Physical Education Center and other buildings arose from his generosity, the early classes of Woodruff Scholars were not as noticeable. Funded by an Atlanta icon who was seven decades older, they followed his lead of calling little attention to themselves. They didn’t set themselves apart; no acronym after their names, no secret handshake — just a shared dedication to the best an Emory education had to offer. “Robert Woodruff was an imposing guy, in his nineties when we met him, with a handshake like iron,” said Haynes Brooke 85C, one of the first 12 Woodruff Scholars, who became a Hollywood actor (and stars in Jimmy Dean commercials as the sun character). This fall, as Brooke and the inaugural class celebrate their 30th reunion, the largest recruiting class of Woodruff Scholars will enter Emory College for the first time: 33 of them. They chose Emory over other top-tier schools partly because other Woodruff Scholars helped persuade them. During their campus visit in April, finalists heard from Woodruff alumni Doug Shipman 96C, founding CEO of the National Center for Civil and Human Rights, as well as Greg Vaughn 87C, CEO of leading orthopedic braces manufacturer Bauerfeind USA and the first Woodruff Scholar named an Emory trustee. They also heard from Matthew Biggerstaff 01OX 03C 06PH, an epidemiologist with the U.S. Centers for Disease Control and Prevention; Emily Cumbie-Drake 10C, the farm-to-school coordinator for Georgia Organics; and Joanne Abrams Mello 99C 99G, chief counsel to SouthStar Energy Services. More Woodruff alumni pitched in to recruit virtually. Holly Gregory 96C, a children’s TV producer in New York and voice-over director for "Dora the Explorer," helped sway Leigh Schlecht of Sheboygan Falls, Wisconsin, a published poet and founder of a literary magazine who had a tempting offer from the University of California Berkeley. High expectations will greet Schlecht and her 32 Woodruff peers as they settle in on campus. This group was selected from the deepest pool of candidates in Emory’s history. This year, applications to the Emory Scholars Program — of which the Woodruff Scholarship is the signature award — more than doubled to 6,716. Of those, 721 were selected for Woodruff Scholarship consideration and, after committee review, 86 finalists visited the campus in April 2015. “Our excitement about this year’s class goes far beyond the numbers,” says Emory College Dean Robin Forman. “These new scholars bring a diversity of intellectual interests that span the arts and sciences, and they have already accomplished amazing things, including founding new organizations, publishing novels, and carrying out original research. In follow-up interviews, the 33 reported choosing Emory over schools including Harvard, Yale, Stanford, Chicago, MIT, Duke, Penn, Dartmouth, Johns Hopkins, Northwestern, Washington University in St. Louis, Cornell, Brown, Vanderbilt and Rice. For Schlecht, Emory stood out because “the opportunities were too amazing to turn down,” she wrote to Gregory. Becca Bowles of Athens, Texas, chose Emory for its astronomy major on her way to a career in the sky. She plans to pursue a master’s degree and doctorate in astrophysics, possibly working with a space corporation or university on the life of stars. Matthew Ribel of Chantilly, Virginia, is preparing for a career as a pediatric neurosurgeon, inspired by his work in a therapeutic riding program for developmentally disabled children. He played varsity lacrosse for four years, conducted independent environmental engineering research, and founded biPAC-tisan, a bipartisan political action committee and consulting group. 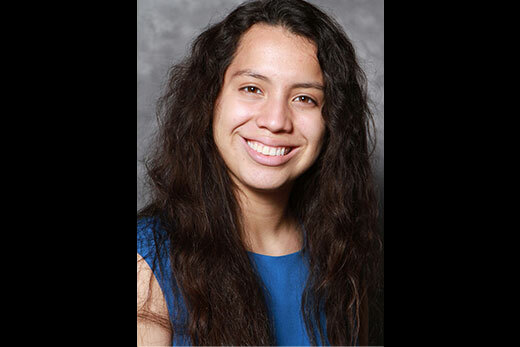 Amanda Obando Polio of Santa Tecla Libertad, El Salvador, chose Emory due to her interest in international politics and addressing social inequalities. On her campus visit, Emory’s openness to offering financial aid to undocumented students impressed her the most. Kieren Helmn of Preston, Great Britain, plans to study business administration and classical civilizations. He managed his school’s rocketry program, which twice reached the national finals. 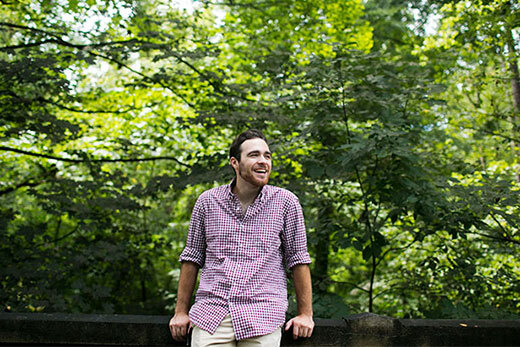 He runs a website that gives advice to young entrepreneurs, and Emory’s support of start-ups was one reason he bypassed Brown and Penn. He sees himself starting his own business, perhaps in the STEM arena. 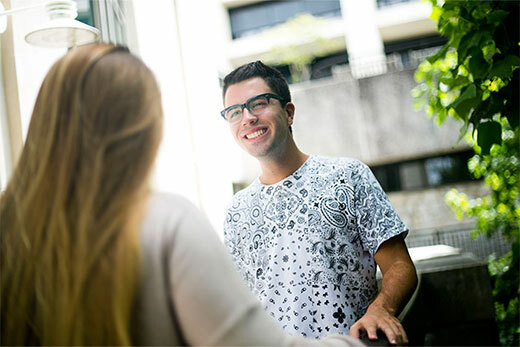 Willi Freire of Boca Raton, Florida, is interested in studying law and interning at The Carter Center. He is passionate about community service, and he spent two years volunteering with Habitat for Humanity.